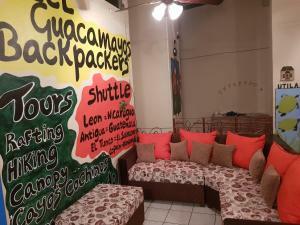 ﻿ Best Price on Hotel Las Hamacas in La Ceiba + Reviews! 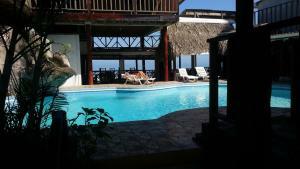 Hotel Las Hamacas in La Ceiba provides accommodations with an outdoor swimming pool and a terrace. All rooms feature a flat-screen TV with cable channels and a private bathroom. Guests can grab a bite to eat in the restaurant or a drink at the bar and free WiFi is available. At the hotel, the rooms come with a closet. 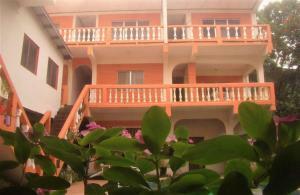 Rooms contain air conditioning, and certain rooms include a balcony. Hotel Las Hamacas has a playground. You can play ping pong and pool at the 3-star hotel. The reception can offer helpful tips for getting around the area. Utila is 3.7 miles from the accommodation.